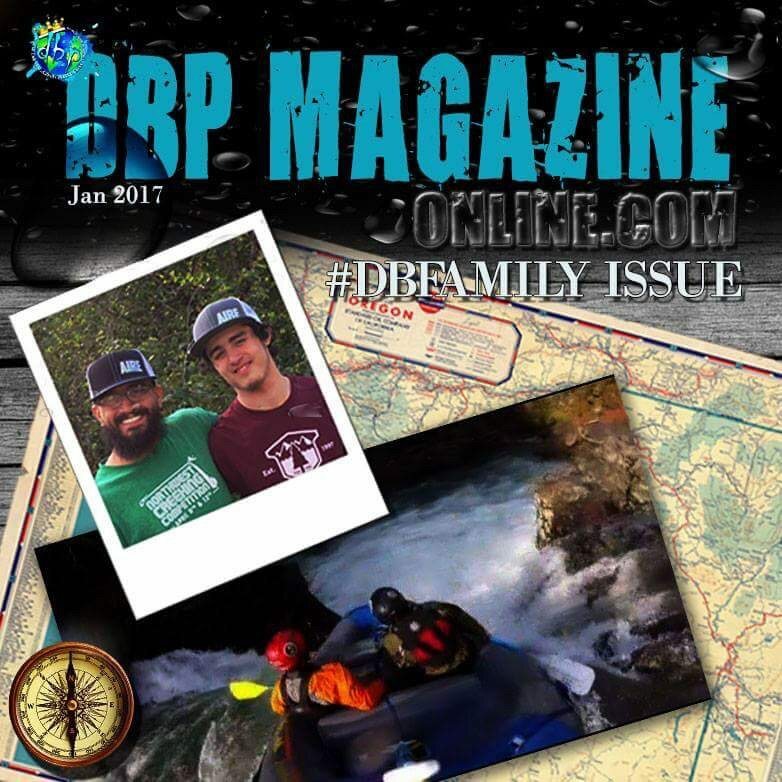 PUT IN: JANUARY 2017 | DBP MAGAZINE ONLINE The World's Best Free Whitewater Publication. Our New Logo & The #DBFamily Issue, featuring Robert & Dakota Delgado! Happy New Year! 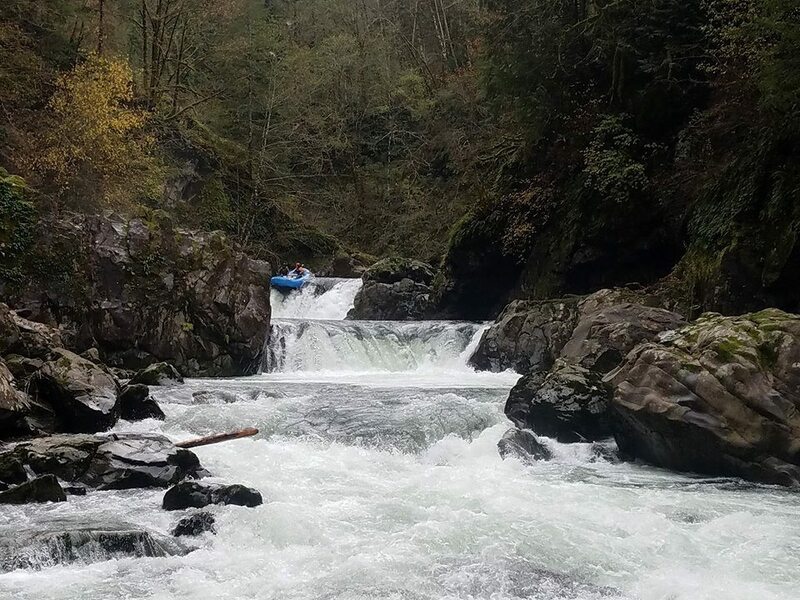 With the beginning of January comes a new cover, reflecting a new theme, one we hope will inspire everyone in their pursuit of whitewater in 2017 and beyond. Family has always been major to Dirt Bag Paddlers, and the hashtag #DBFamily has appeared on many of our posts on Facebook and Instagram. So to start the New Year off right, we’ve decided to make #DBFamily the focus of our entire January edition of the magazine, featuring stories from our friends around the world boating with their kids, parents, siblings, and loved ones. We hope this will inspire families just starting to get their young ones involved early, dirtbags who are still growing up to aspire to one day make a family of paddlers of their own, and families who already do so to reflect on and cherish those times well spent on the river. 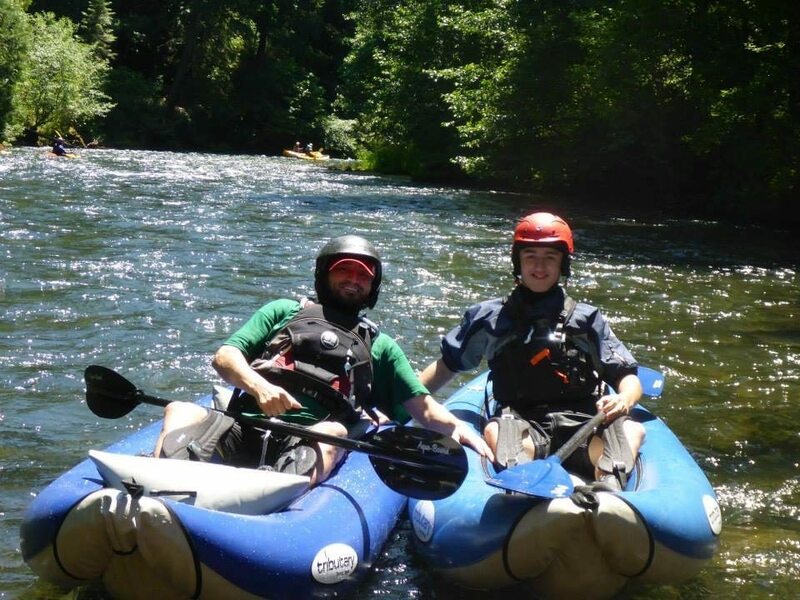 We fire up the endeavor with a classic Dirt Bag Paddlers family, DBP Admin Robert Delgado and his son Dakota, hailing from Happy Valley, Oregon. Robert is a bonafide Class V rubber pusher, and Dakota is following in his father’s footsteps. 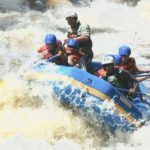 The picture of them rafting together on our January cover is from a great day, dropping over Big Kahuna, a major waterfall on legendary Canyon Creek. 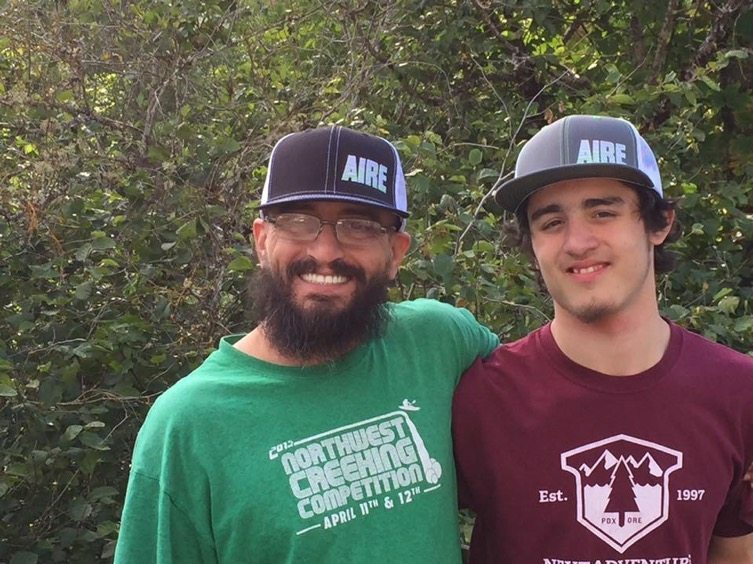 I asked Robert, truly one of the warmest and most humble badasses I’ve had the pleasure to paddle with, to share the story of how he and his son came to paddle expert-level whitewater together. We’ve got more family stories lined up for the coming weeks, including pieces from previous contributors Travis Overstreet, Mayo Cross, and Gage Laughton (with Dad Lee)- all members of our 2016 ALL-WALLACE TEAM, the selection of which we just wrapped up in the last few days! How amazing that three of our stories, lined up well before the contest, will feature half of the Team- that really speaks to the inherent love of family in Dirt Bag Paddlers. We will also hear from Michael Potter, Michelle Terrell, Doug Walton, Malcolm Lee Smith, and others throughout January. We hope their tales will light the fire that gets you and your family out on the water in 2017! We are also stoked to unveil our new souped-up logo for the new year! DBP Admin RJ Dowell reinvigorated the traditional DBP globe and crown with a new feel. We hope you like it as much as we do! You will find the logo in use on our Instagram feed, where we changed our name for the New Year. 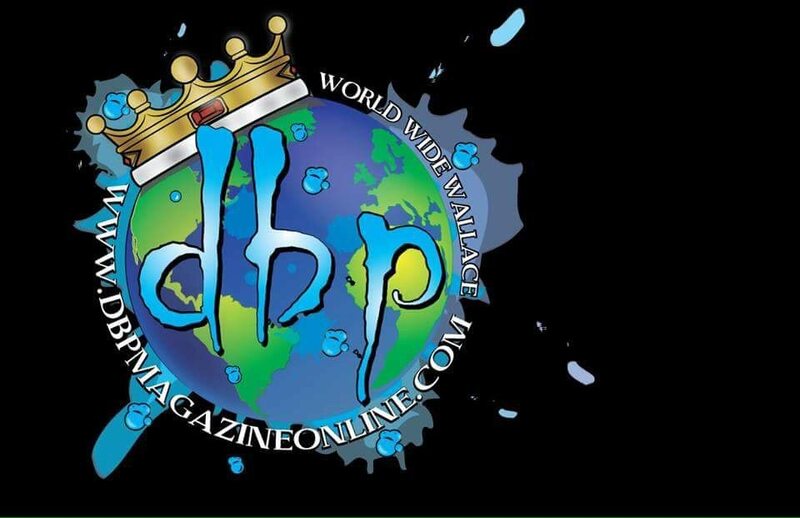 What was once @dbp_4_life is now @dbpmagazineonline to emphasize our publication and it’s connection to Dirt Bag Paddlers in what is a very fast growing market for us. Have no fear, it’s the same great feed and we will always be #dbp4life! The 1st of January is more special than the usual first of a month in that it kicks off a whole new YEAR. New Year’s Day affords us the opportunity to improve like no other day on the calendar, in the form of resolutions. So we end this article with four resolutions that Dirt Bag Paddlers pledge to attempt to keep in 2017. DIRT BAG RESOLUTION #1: More Gear! That’s right, we now have uber-talented Admin RJ Dowell working hard on new art for shirts and decals like we’ve never put out before. Dig our new logo for the New Year? That’s RJ. 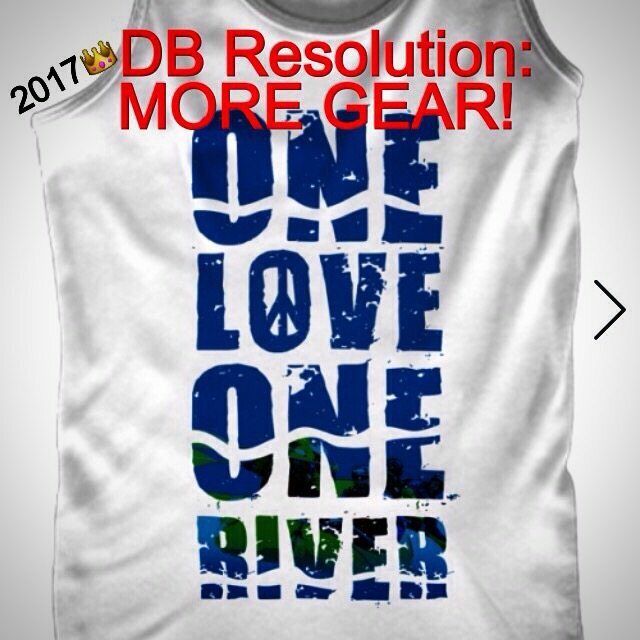 These will be available as helmet decals this Spring… And you can get a #OneLoveOneRiver shirt (for 4 more days!) at https://teespring.com/new-dirt-bag-paddlers-one-love#pid=14&cid=2536&sid=front Look for the matching plastic decals soon… DBP will keep you stylin’ in 2017! 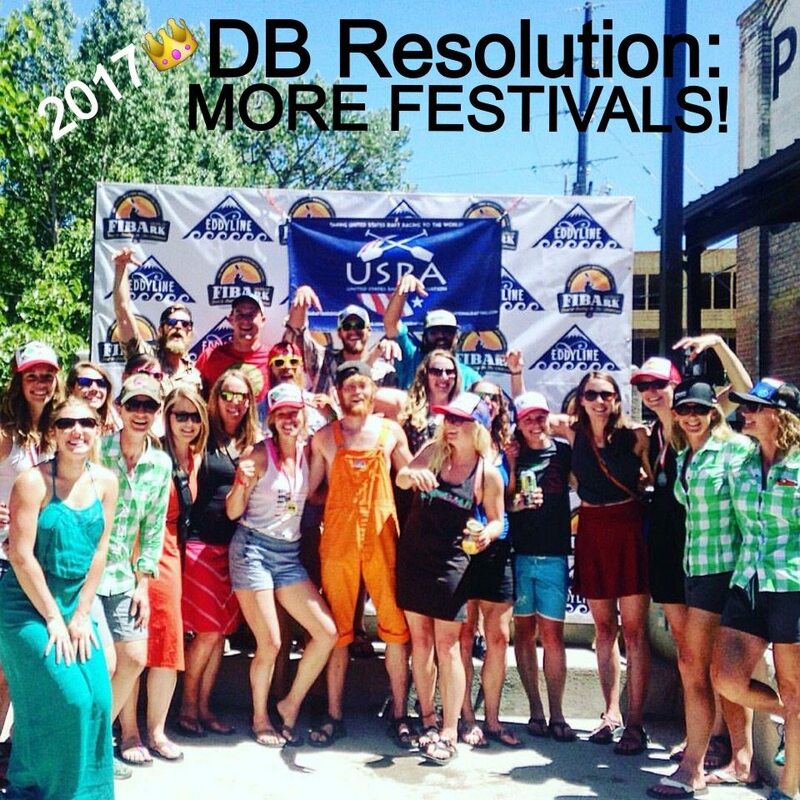 DIRT BAG RESOLUTION #2: More Festivals! That’s right, more Paddlin’ & Partyin’ with Purpose, like we all know how and love to do! DBP has a huge list of Festivals around the World where you can expect to meet up with at least one Admin, and we always aim to assist these often grass-roots efforts with support: sometimes in the form of donations for their auctions or raffles, sometimes a cash contribution, sometimes by volunteering… Here’s a list of awesome events that we will be attending in 2017: Ganga Kayak Fest, National Paddling Film Festival, Whale Foundation Wing Ding, International Rivers’ Day of Action, National Student Rodeo, Muddy Rivers Festival, Cheat Fest, Pesh Fest, Midwest Freestyle Championship, Addidas Sickline, Gauley Fest, FIBArk, Gore Fest, Royal Gorge Fest, Frank Fest, Beaver Fest, The Green Race, Lochsa River Madness, Northwest Creek Comp, Feather Fest, Hurley SAS, Dagali Fest, Wet West Paddlefest, Macchu Picchu Fest, Wild & Scenic Film Festival… Just to name a few! Keep an eye on our Facebook page for updates. DIRT BAG RESOLUTION #3: More Active! DBP has always had a close interest in the health of our rivers and planet. 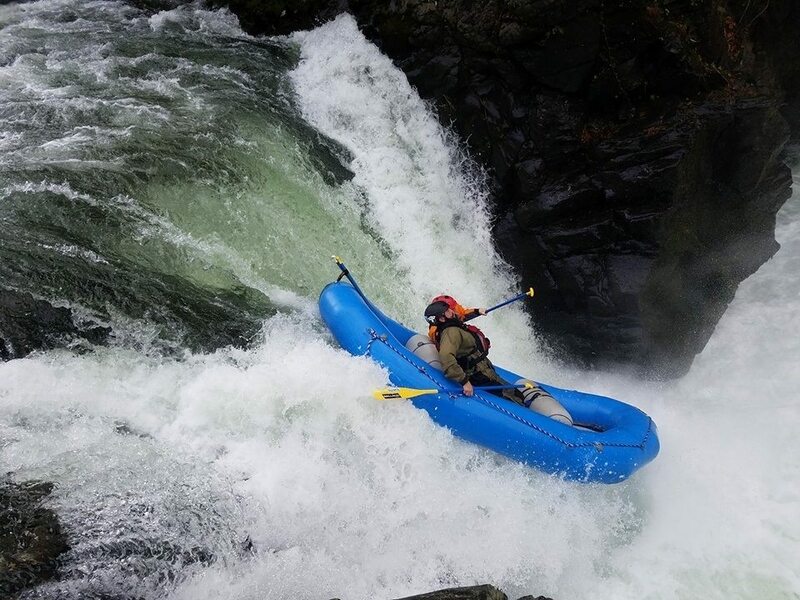 For instance, the last two years we raised awareness with contests for the Day of Action hosted by International Rivers. 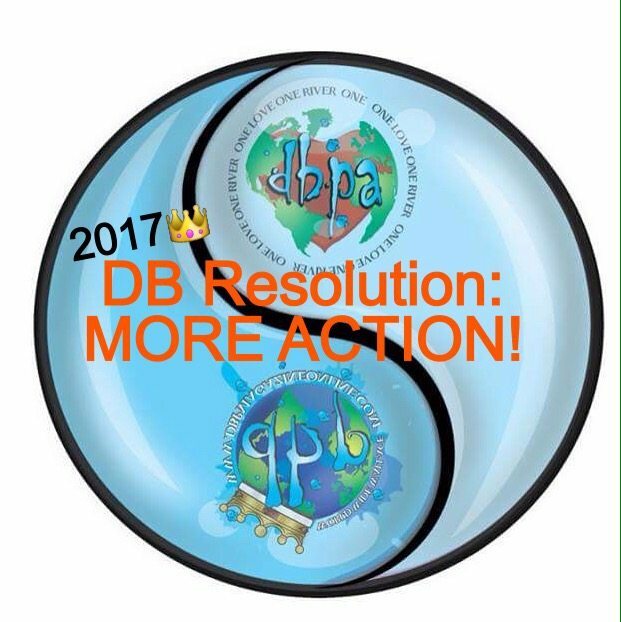 Last fall, prompted by our outrage over what was happening to the Water Protectors at Standing Rock, we formed a sister group on Facebook from our core environmentalist Admins, and called it DBP ACTIVE!! This open, public group has big plans for 2017, such as vocal opposition to the Batoka Dam on the Zambezi slated to begin later this year and continued support for #NoDAPL. We also plan to get Active this year for the Day of Action, hosting DBP-led river cleanups around the world in March that will fuel a contest we call “SHOW US YOUR JUNK!”… stay tuned for more details, and please come join the hundreds of other Dirtbags already involved. https://m.facebook.com/groups/1489419947752989/?view=group This yin and yang image by RJ Dowell symbolizes the synergy of our two aspects here at DBP, all encapsulated in water because Water is Life. Mni Wiconi! 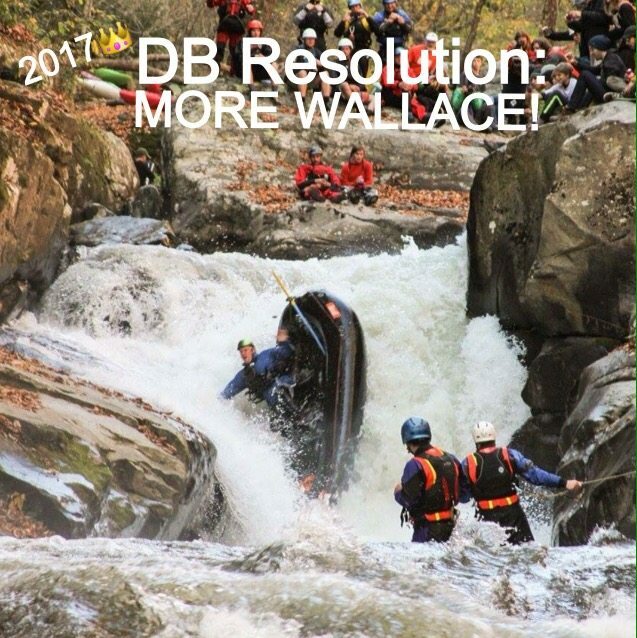 DIRT BAG RESOLUTION #4: More #Wallace! 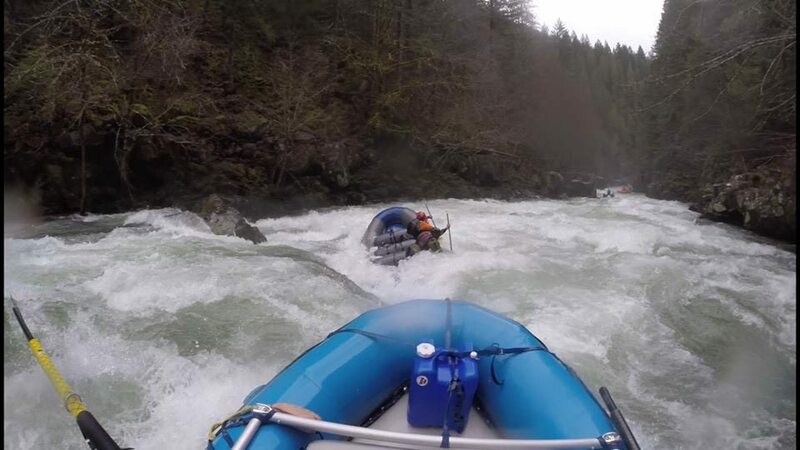 Dirt Bag Paddlers brought the whitewater world the term “WALLACE!” back in 2013, and now it’s spread like wildfire across the planet! 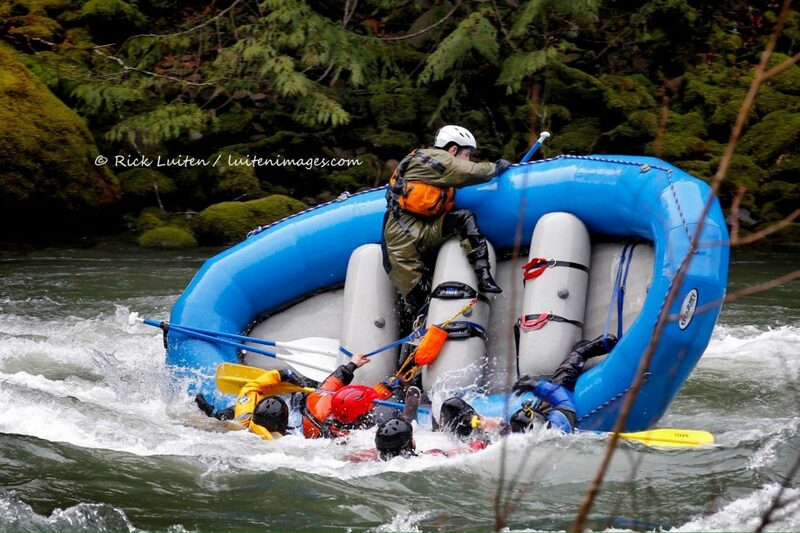 In 2017 we re-commit to delivering to the Community the best action-packed videos, the most vivid carnage-filled photos, and the top-rank interviews and articles that everyone in paddling has come to expect from Dirt Bag Paddlers! You might just get that beer smacked outta your hand too… WALLACE!!! 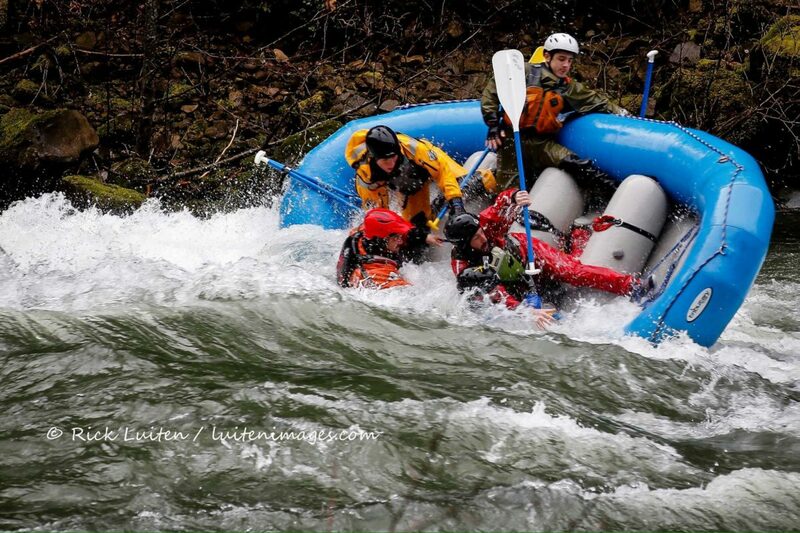 Thanks again for being a part of OUR Family here at Dirt Bag Paddlers, and on the rivers of the world! Cheers! TAKE OUT : DECEMBER 2016 ~ DB of the Year AARON ERDRICH & Photos from DBP Admins Around the World!